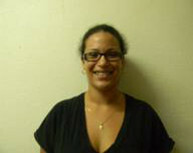 Milca was workig on her Bachelor’s degree in Public Administration at Universidad de Oriente when she became a Fellow. She was a Conafe instructor, where she taught secondary school classes in the town of Poxil. She is a young indigenous leader who takes risks to achieve her goals. 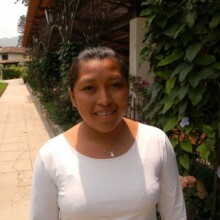 She values her studies very much, and left her community in order to continue studying. She is one of the few young people in her community who is still studying. Milca is an organized and analytical young woman, who bilingual in Spanish and Maya. She means to open an Internet Cafe in her community after she finishes studying. In the long term, she plans to study a Master’s Degree in Finance. When she was selected as a GOJoven Fellow, she was 21 years old.